Finally - the weekend is here! This weekend we celebrate and honor our veterans for their patriotism and willingness to serve and sacrifice for the common good with some local events. This Friday night, you can find some delicious chili and friendly competition at the Cocoa Village Riverfront park during the 8th Annual Chili Cook-Off! Take a stroll in the Historic Cocoa Village and enjoy a night of live music and great food! This event is kid and pet-friendly, so bring the whole family and your appetite! If you are looking to stay in North Brevard, check out the Downtown Titusville Street Party. This is a recurring event every second Friday of the month. This family friendly event boasts a special theme every month - November is honoring our veterans. The evening features live music, local food vendors, arts and crafts, sidewalk sales, and an antique car show! The fun starts at 4:30 PM. Looking for night of laughter? Head over to the King Center in Melbourne Friday night and see Ron “Tater Salad” White and his new stand-up show “Behavioral Problems”. Ron is best known as the cigar smoking, scotch drinking funnyman from the "Blue Collar Comedy" phenomenon. The show begins at 8:00 pm and is recommended for mature audiences only. On Saturday, there is a Native American Rhythms Festival at Wickham Park. This festival honors the culture of the indigenous peoples of the Americas through music, and especially the music of the Native American Flute. The festival is from 10:00 AM to 10:00 PM. United Way is hosting a Sunday Funday at the Melbourne Airport. Come see Porsches, Corvettes, fire trucks, race cars, cockpits, and helicopters. This is an event that is sure to leave a lasting impression on the young and the young at heart. If running is your thing, there are two 5ks on Sunday morning for you to choose from. TechRev is hosting a Home Stretch 5k for Homeless Vets at 8:00 am at the Field of Dreams in West Melbourne. Run and help this great organization raise funds to eliminate homelessness among Central Florida vets. There is also the Inaugural Cape Canaveral Lighthouse Foundation Half Marathon. On this one-of-a-kind course, you’ll wind through historic and iconic rocket launch complexes, finishing with a party and awards at the famous Cape Canaveral Lighthouse. Do you consider yourself a foodie? Check out the Taste of Jerusalem at Wickham Park on Sunday from 11:00 am to 5:00 pm. There will be live entertainment, dancing, shopping, a silent auction and more! There are some events that go all weekend long. 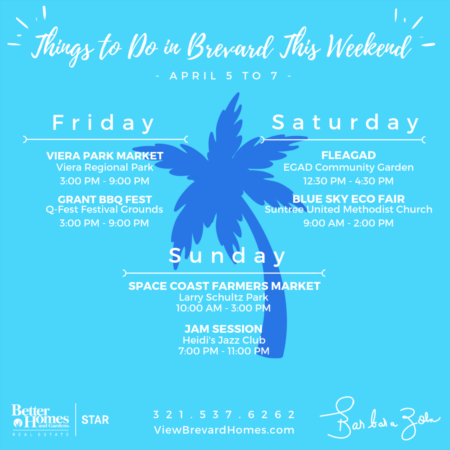 Take a trip to Viera and visit the Space Coast Fair! Brevard’s largest fair only comes once a year - you better hurry because this is the final weekend for the 2018 fair! The fair is pay-one-price, so for just $15 you can enjoy all of the rides and shows that you can handle. The fair is open Friday from 5:00 pm to 11:30 pm, Saturday 1:00 pm to 12:00 am, and Sunday 1:00 pm to 10:00 pm. 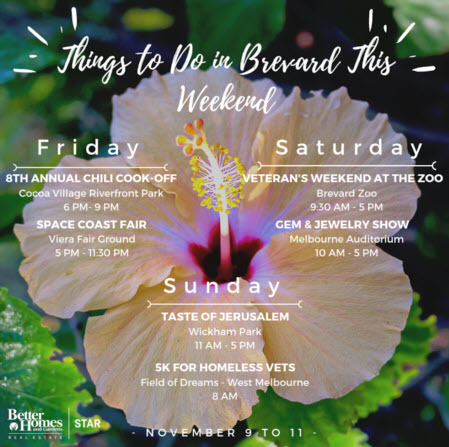 This weekend is Veterans Weekend at Brevard Zoo. Current military and veterans are invited to enjoy complimentary general admission to the zoo. In the event a service member is deployed overseas, the Zoo will admit their spouse at no charge. 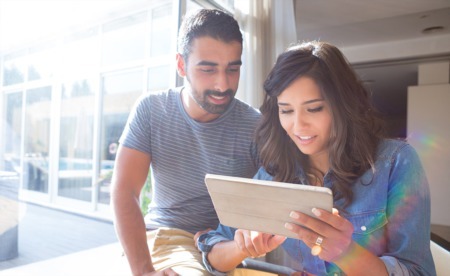 Proof of military service is required to claim offer. The Zoo is open from 9:30 am to 5:00 pm daily. Have an interest is Gems and Jewelry? There is a Gem and Jewelry show at the Melbourne auditorium Saturday and Sunday! This show is hosted by the Canaveral Mineral and Gem Society and goes from 10:00 am to 5:00 pm both days. 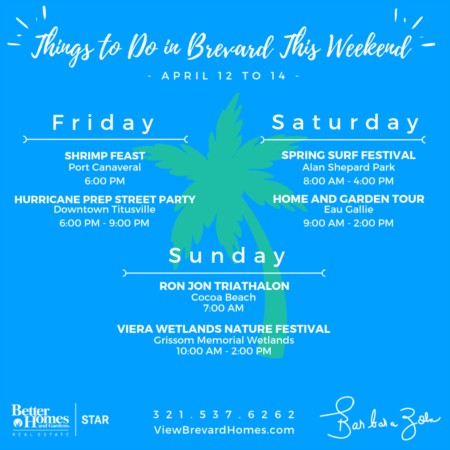 There is a lot of fun things to do this weekend, what will you be doing?